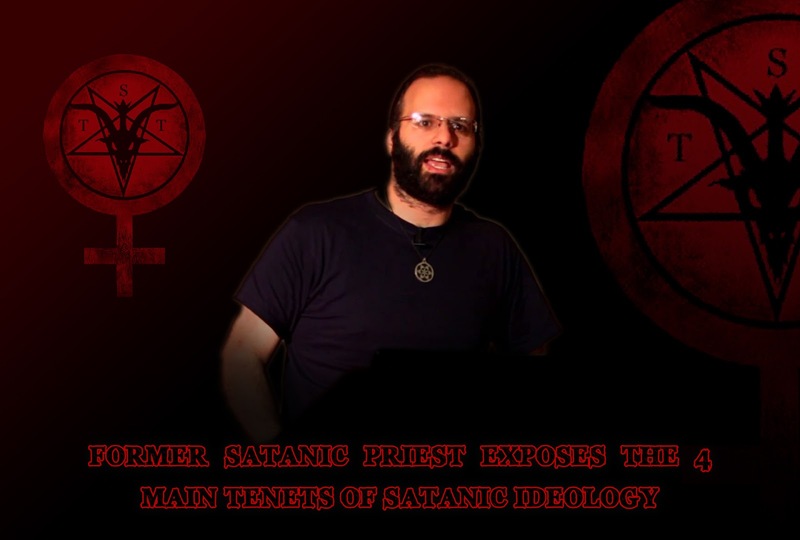 In January of 2015, Mark Passio, former Satanic priest, gave a clear and on point, explanation of the ideology of the church of Satan. His knowledge comes from his experience as a former priest in the church of Satan, a branch of the Dark Occult. Now Passio has changed his personal ideology 180 degrees and helps to expose the insidious precepts of Satanism. 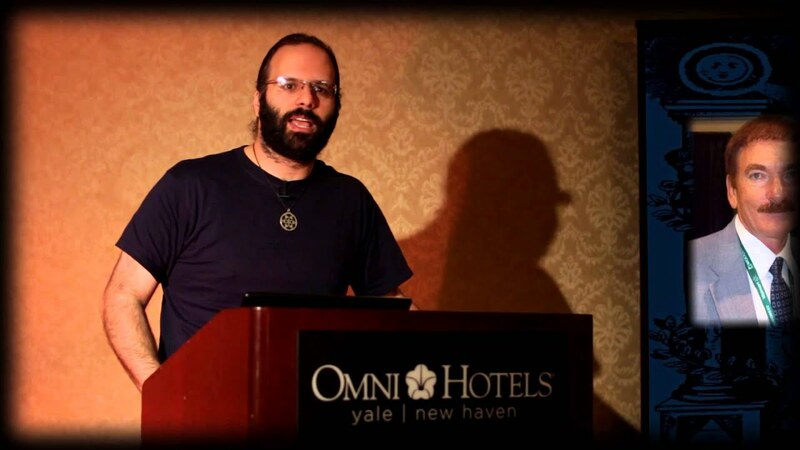 Earlier this year, Mark Passio joined Lee Ann McAdoo from Alex Jones' InfoWars for an online interview wherein he discussed the "4 main tenets of Satanism." As Passio explains he was dissatisfied with religion and over time became angry and and gravitated towards the branch of Satanism called the Dark Occult. His writing and music was recognized by a Satanic church figure, the late Anton LaVey and LaVey asked him to become a priest in the church and to take on the role of converting others to the Satanic counter-religion. While he does not explain why he left the church of Satan, Passio does explain that his associates within the group were completely unconcerned with him leaving, as they felt confident that nothing he could do could effect them or their power. These concepts exist on a sliding scale and it is not clear to what degree they are actually practiced by Satanists. The individuals who practice such a selfish philosophy unbalanced by love or compassion for others would seem like sociopaths among us, perhaps free of criminal records, but who take no risk or responsibility to improve the lives of less fortunate people in society. As Passio explains, Self Preservation is among the highest Satanic principles, and not in the acceptable sense of being defensive. We may know many people in our lives who we consider harmless individuals, without criminal records, who indeed show philosophical traits in common with Satanism, however we would never think of calling them Satanic because we associate that offensive word with human and animal sacrifices, which is a deception that conceals the nature of Satanism as the inverse of Christianity. For example where Christianity might practice forgiveness and freedom from dogma, Satanism prefers the tools of mercilessness and oppression. If more corporate businesses than not identify with the ideology of Satanism in their business practices, then are we living in a pre-dominantly Satanic world? If so, then it is only individuals, practicing self preservation balanced with Jesus' fruits of the Spirit such as compassion to other human beings, that make the world unevil. Today Passio is using his knowledge not to create converts but to expose the Satanic ideology in an effort to reveal how harmful it is. If it goes un-identified, then it will continue to overwhelm our technological society, in the businesses and sciences, and allow the elite to be dangerously misguided. We make the world how we create it to be. We are free to create new and better systems of business based on morally objective ideology to overcome old and inferior systems of enslavement. Despite the aesthetic symbols seen in the background of his recording location, Passio speaks powerfully and knowledgeably against Satanic tools used to oppress massive numbers of people. He shows that he has re-wired himself in favor of love. On his website the footer reads: All is Love. Which is clearly not the belief of a Satanist. Partial Transcript from "Former Satanist Exposes Occult Secrets"
"It has nothing to do with the Christian notion of the devil. Satanism has 4 main tenets or overarching principles of belief. And that is that self-preservation is the highest goal. And you should do whatever you can to advance your personal power and influence in the world no matter who you really have to walk all over, step on, or hurt to get what you want. That's really the number one tenet and if you look at society most of society is stuck in that cut-throat, dog-eat-dog, mentality." 2) "Moral relativism is the second major tenet which is that there is really no such thing as objective standards of right and wrong behavior. That we as human beings can get to decide upon our whims what right and wrong are and base our actions accordingly. And if you look at most of society I would say more people than not are moral relativists than moral objectivists who think that there is an objective standard of right and wrong behavior. So that's also very pervasive in society." 3) "The Third major tenet is social darwinism, the idea that the most ruthless in society have some sort of a predetermined idea or pre-destined right to basically rule over everybody else in society because their genetics got them there, and made them fit for rulership. And many people will actually think like that and think that that's ok, that that's just the natural order or the way things are. You know, and so that's also very pervasive in our society." "And finally the 4th main pillar of Satanism is eugenics, the idea that those who are socially fit to rule, and they're the fittest in society and therefore they've come out on top and they're ruling the roost, well they can get to decide who basically propagates their genes and who does not, or in other words, who gets to live and who dies. Who must die."